PUPPY LOVE The McCormacks’ dog, Scruffy, is also a familiar face in the neighborhood. “There are people I meet now who say, ‘Hey! We’re neighbors!’ and I say, ‘I’m sorry, I don’t…’ and they say, ‘No, we’ve never met, but I’ve seen you walking your dogs on the same routes for 20 years,’” Eric laughs. Photo by Daniel Deitch. Eric was somewhat familiar with the area; after moving to Los Angeles in 1993, he lived in the Oakwood Apartments and would celebrate St. Patrick’s Day at Timmy Nolan’s with friends who lived nearby. The couple’s choice of location, however, was mainly based on proximity to CBS Studio Center, where Will & Grace was filming. Janet liked that it was a walkable neighborhood for their dogs, unlike where they’d been living. But the best indication they’d made the right choice came on the day they took possession of the house, when they found a lost kitten in a tree across the street. That cat ended up joining their family for the next 15 years. “It was meant to be,” Janet says. HERITAGE AT HOME Janet and Eric have devoted an entire wall to displaying photos and mementos of their family history. Photo by Daniel Deitch. Being longtime members of the community also means that the family has experienced health crises over the years that brought them to the emergency room at Providence Saint Joseph Medical Center in Burbank — “fortunately and unfortunately,” as Janet puts it. The unfortunate part was, of course, the frightening and stressful situation that sent them to the hospital; the fortunate aspect is the top-notch care they were able to receive at their neighborhood facility. CAUSE FOR CELEBRATION Helping to publicly launch the hospital’s fundraising campaign, the McCormacks joined other donors and dignitaries at a gala at NBCUniversal on February 23. Photo by Keats Elliott/Providence Saint Joseph. It was those unforgettable experiences that inspired the McCormacks to get involved when neighbors invited them to a presentation about Providence Saint Joseph’s campaign to expand its emergency services department. The hospital is currently raising funds for the project, which will begin construction later this year and open by the end of 2021. Eric and Janet immediately knew it was a cause they wanted to help however they could, and they joined the Toluca Lake Committee of the Emergency Services Campaign. In fact, the hospital’s 39-year-old emergency services department is one of the busiest in Los Angeles County. The expansion will more than double the available space for critical treatment, from 13,800 square feet to over 33,000. Janet highlights that the plan also creates an on-site urgent care center that will reduce wait times and expedite treatment for more minor cases, while the emergency room will feature separate illness, injury, pediatric, geriatric and psychiatric waiting and treatment areas. The addition of dedicated imaging and lab facilities for the emergency room is another important innovation, Eric points out. “X-rays, ultrasounds and scans are a huge part of diagnosing and treating so many emergency cases, but the hospital’s imaging department is currently about one-and-a-half football fields away. The journey there and back, those are the minutes that you lose. 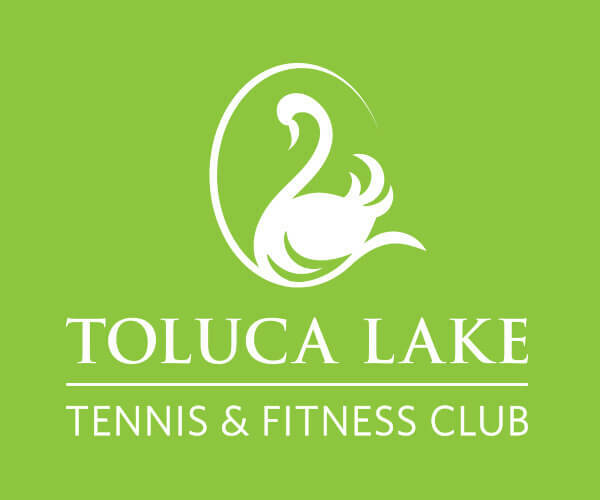 Now that will all be part of the same area.” In fact, the Toluca Lake Committee has committed to raising $5 million from the community to fund this area, with naming opportunities commensurate with gift size. Providence Saint Joseph’s new urgent care center will bear the name of the Cusumano family, local benefactors whose gift helped make it possible. Rendering courtesy of Providence Saint Joseph Medical Center. The expansion will increase the emergency department’s treatment capacity from the nearly 71,000 visits per year it’s currently handling to more than 93,000 — an improvement that’s vital to all residents of Toluca Lake and other neighboring communities, whether they realize it or not. That’s the message the McCormacks have been working to convey as spokespeople for the Providence Saint Joseph campaign. When hosting a fundraiser in their home and helping to spread the word among their fellow community members, they shared their own experiences as examples of how unpredictable life can be and what an invaluable resource the hospital provides. The expanded emergency department is named in honor of the generous donation provided by the estate of longtime hospital supporter Jaromír Strížka. Rendering courtesy of Providence Saint Joseph Medical Center. The couple wants to impress on their community members that everybody can give to the cause, and every contribution helps. “Any donation to the hospital fund, small or large, is going to speed this along,” Eric explains. “The designs are there and they’re gorgeous — it’s really just about getting enough money soon so that we can get it done.” The campaign has already raised more than $56 million of its $78 million goal, thanks to the generosity of nearby corporations like Walt Disney, Warner Bros. and NBCUniversal as well as individual donors. “It’s our community, and it’s our hospital, and we need to support it,” Janet sums up. Above all, for the McCormacks, the campaign is an opportunity to give back to the hometown they’ve found in Toluca Lake. “Being from Canada, although we lived in a few apartments before we found this house, this really is the first place we owned in the U.S.,” Eric says. “I realized the other day that I’ve been in this house longer than I lived in my parents’ house. This is the longest either of us has ever been in one spot.” Now, their efforts are helping to ensure a healthier community for all their neighbors.